You came to us as Cocoa, and Wildebeest changed that to Coco. 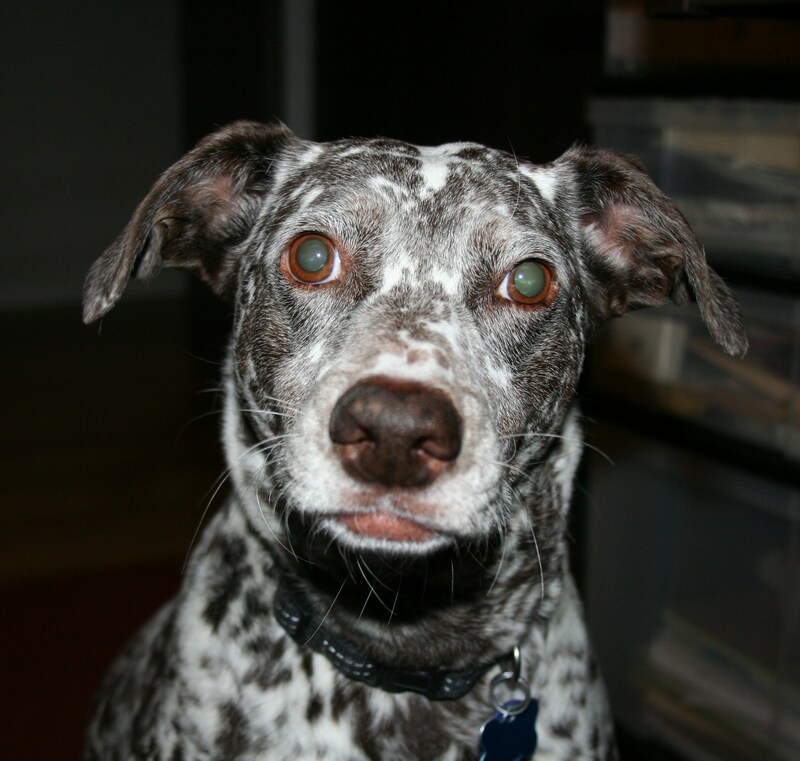 Over the years you were our Coco Sue, Susan, and Speckled Snake Dog. with the big eyes and catfish whiskers. and now you can do that forevermore. Plus eat all the poop you want. Rest in peace, Coco Sue. Thank you very much for stopping by with a hug. I’m sorry, Tracy. She was a sweet looking dog. I remember when she got skunked. Hugs. You have such a good memory, Barb. I’d forgotten about the skunking! I do remember how deep your doggy love runs, though. Thank you for the hugs. Thank you, Jenn. It’s been a strange day of phantom Coco thoughts re routine. Not yet used to this new loss.